Fenugreek (Methi) leaves are enriched with Vitamin K, its sprouted seeds have Vitamin C and its seeds are rich source of flavonoids, glycosides, aminoacids, protein, sodium, potassium chloride, magnesium, sulphate, phosphate etc. For loose motions, take 50gm juice of fenugreek (methi) leaves and mix 15-20 gm crystal sugar in the form of mishri in it and drink. Take once in morning and once in evening. If you have to pass urine very frequently, then mix 50 gm fenugreek (methi) leaves juice with 10gm mishri and 5 gm catechu (कत्था – kathha). Drink it for 3 days, once per day. For any disease of stomach and especially appendix, methi kaadha is a sure cure. Take 2-3 spoons fenugreek (methi) seeds and soak it in 1 glass of water at night. In the morning, boil it on a slow flame until water is half. Cool it down to a normal temperature and drink it with salt. Take it continuously for 10-11 days to get rid of all stomach diseases. Fenugreek (methi) seed powder is beneficial for arthritis, joint pain, knee pain and for women, post delivery. If you are suffering from severe back pain then cook fenugreek (methi) leaves with black grams (urad daal) and enjoy eating. It is enough to eat it only for 3-4 days. Even if you are healthy, you can take it and you will never suffer from any backache. Powder of fenugreek seed has enough iron, vitamin C and calcium. It is the best thing for hair. Soak handful of fenugreek seeds (methi dana) in 1 bucket water and wash hair with it in the morning. 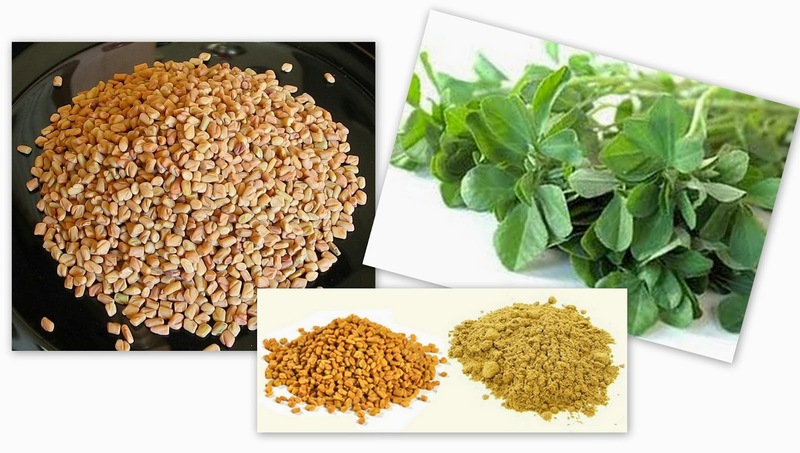 Fenugreek seeds/ powder is pure natural with definitely no side effects and works wonders. Do try the tips for a healthier you. If you tried expensive cream and oil which come in TV commercial and steroid Injections in Joints and now Doctor suggested Operation. Better has Last Resolve just Try Joint Rehabilitate Oil . save yourself , family and friends from these severe pain try Joint Rehabilitate Oil. No need to suffer from pain of Arthritis , Neck Pain , Slip Disc , Joint Pain , Back Pain, Accidental Traumatic Injuries and other Musculoskeletal / Neuromuscular painful disorders.